Unwanted guests are never fun, especially when you can’t ask them to leave. Luckily, Windsor pest control companies have no problem kicking them out. Whether there’s a rodent in your basement or insects in the attic, call your local Windsor exterminator to take care of them — do not try to wrangle them out yourself! Not sure which type of home pest control service in Windsor, CT can tackle your issue? Read profiles and ask about their past experiences to get a good idea. Kick the ticks. Tick Ranger protects your family and pets – guaranteed. Enjoy peace of mind that your yard is safer for kids, pets and family fun. 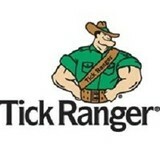 Tick Ranger controls ticks on your property, as well as those that drop from animals passing through. Safer for kids and pets. No harsh chemicals. Control materials include plant extracts, natural oils, and bio-rational products. No contract. No hassles. Call today for your free quote. 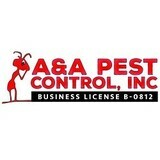 Yale Termite & Pest Elimination Corp was established on 1983. 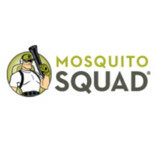 It is a leading industry, family-owned and operated pest management company. Yale uses and is mindful of integrated pest management (IPM) practices in all operating activities and provides fast, effective pest control solutions for their commercial and residential clients throughout Connecticut. Family Pest Control of Connecticut Inc.
Family Pest Control is your source for effective pest control including mice, rats, various insects and termites. Envirocare Pest Control, LLC is a truly unique pest control company, combining the personal touch of a family owned and oriented business with the professionalism of a large corporate entity. Dave Bisaillon, who received specific training during his early years in the industry and has since furthered his own education, started Envirocare from scratch in 1997. His wife, Danielle, joined the company in 2000 as office manager and continues to serve in that capacity. The latest addition to the Envirocare team is Tasha, a fox-red Lab, the company mascot who puts in a daily 12-hour shift at the office where she serves as official greeter. With more than 2,000 regular clients being served by 12 full-time employees, Envirocare has established a history of success based on positive results and satisfied customers. KRIT-X, LLC is a family owned and operated Pest Control Company proudly servicing Connecticut homes and businesses with over 17 years of experience. Our number one goal is to provide superior customer service to every customer. KRIT-X specializes is all common pest, termite, and rodent control problems to all structure types. No treatment is considered to large or to small and every treatment is performed with safe treatment methods to protect your family and pets. When it comes to Rodent Control, Pest Control and Carpenter Ant Extermination, no one compares to Bugzout Pest & Termite Control LLC. With years of combined experience, Bugzout Pest & Termite Control LLC has worked hard to build the trust of our clients in Bridgeport, Danbury and Hartford and beyond. Visit our website to learn more. Or better yet, click the link and call us today! NuAge Detection & Pest Elimination provides quality pest control and bed bug inspection services in Connecticut. We are proud to protect your home and the health and well being of your family. As we all know many Insects and rodents have the potential to not only destroy your home, but can also have an adverse effect on your health. If you have any Issues with: ANTS, CARPENTER ANTS, CARPENTER BEES, BED BUGS, EARWIGS, CENTIPEDES, MILLIPEDES, FLEAS, MICE, RATS, ROACHES, SPIDERS, TERMITES, SILVERFISH, WASPS, HORNETS, or any other insect. We will be honored and privileged to service your home or business. We offer a variety of pest control services at very affordable rates Including 100% organic pesticide treatments. ProfExt serves Connecticut for all pest control, animal control, and lawn care needs. Critter Wrangler LLC is a wildlife animals control company and we are known in using state of the art equipments such as the thermal imaging machine to help locate the exact location of the animals. We specialize in trapping and catching snakes, rodents, oppossoms, raccoons, muskrats, fox and even Coyote. We are one of the company who has special advanced Land Trapping Certificate. For more details, you can contact us right now. Mastershield has been servicing Connecticut communities efficiently over the past 10 years. We have 14 service technicians, 6 state licensed supervisors, and an office staff of 5 ready to provide great service.